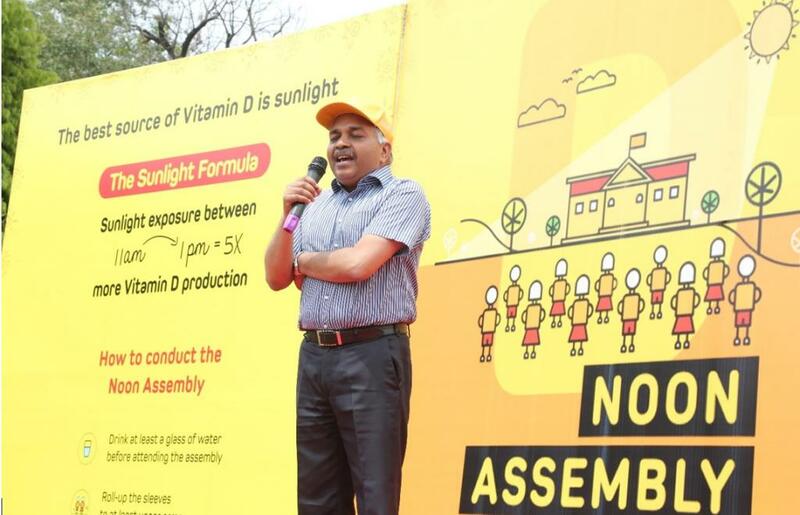 The Food Safety and Standards Authority of India (FSSAI) launched a nationwide campaign today (April 9) at National Bal Bhawan in Delhi to spread awareness about availing Vitamin D through natural sunlight and consuming fortified food among school-going children. The project was implemented in collaboration with the New Delhi Municipal Council (NDMC), North MCD and several private schools through a Joint Noon Assembly. Twenty-five schools from the National Capital Region were among the participants. Vitamin D deficiency occurs due to overuse of sunscreen, wearing clothes that cover most of the skin, working all day in an air-conditioned atmosphere, and other factors. “Also, the school uniforms needs to be designed in a way that at least face and arms are exposed to sunlight, which would be equivalent to 18 per cent of body surface, and the exposure has to be at least for 30-40 minutes," says R K Marwaha, Scientific Advisor and senior consultant endocrinology at International Life Sciences Institute, India. He adds that there is a popular belief that morning sunshine is the best for our bones, however, it is actually the sunshine from 11am to 1pm that is most beneficial in increasing Vitamin D levels in human body because of the best ultiraviolet B (UVB) radiation. Representatives from various schools felt that shifting morning assembly to noon assembly could be a little step that can help children grow into healthy adults.